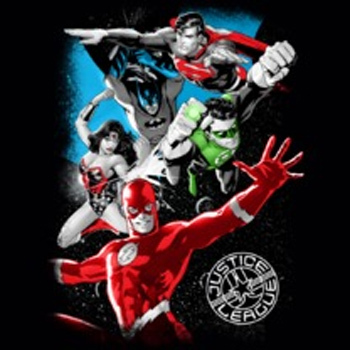 Justice League Galactic Attack kids youth T-Shirt. 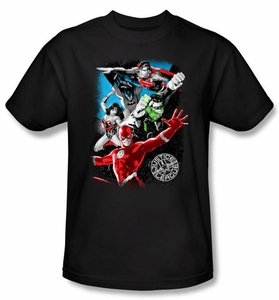 Get in league with the most powerful group of heroes in the DC universe with this 100% cotton, high-quality, pre-shrunk black t-shirt. Features Superman, Batman, Wonder Woman, Green Lantern and The Flash! Also available in Toddler sizes: Small (4), Medium (5/6), & Large (7)!